Founded in 2011 in Namur, Belgium, KIKK is an non-profit association that promotes digital and creative cultures. We create bridges between art, culture, science and technology through the organization of event and educational projects as well as the production of artworks and support to creative projects. 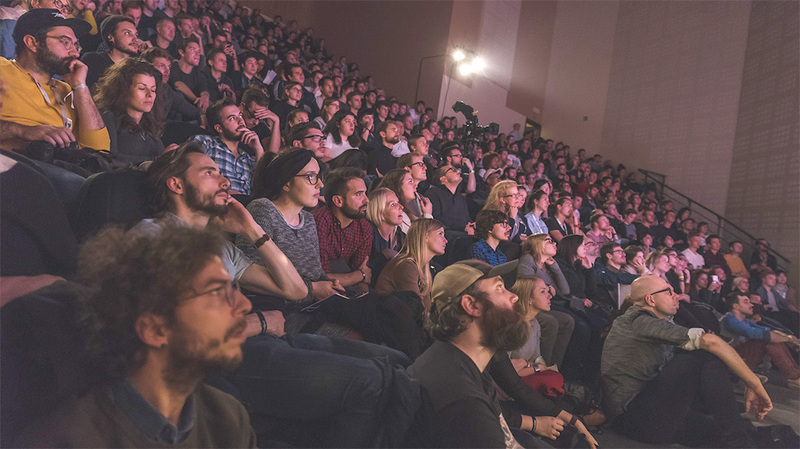 The association organizes KIKK Festival every year. An event that has become well renowned on the international digital & creative scene. The KIKK is also a founding partner of TRAKK, the Creative Hub of Namur, a multidisciplinary co-creation space, the Smart Gastronomy Lab in Gembloux, the first Belgian living lab to explore gastronomy in the light of technology, and Wallifornia MusicTech, an association aiming to promote music and technology. The creative people that orbit the KIKK galaxy are working in a collaborative environment that favours openness, exchange and discovery. Our goals: to explore, question, experiment, compare, in cross-disciplinary way, the multiple uses of new technologies to prefigure the challenges of a world in motion. The 8th edition of KIKK Festival will dive into the theme “Species and beyond” to explore the boundaries between the living and the non-living, undoing our anthropocentric visions of the world by shifting points of view. Faced with global issues, the contemporary perception has evolved, artists and philosophers are rethinking and decentering humans’ position in the world which has been dominant in modern thinking. New questions arise. What can be defined as a species? What happens when we look at the world from another position, taking the perspective of animals, plants, bacteria, minerals, the forces of the elements? Contemporary art has been investigating this vision of the world not centered on human beings using technology and science to explore the symbiotic relationship between the living and the non-living, considering hybridity, synthetic life, organic life, artificial life, interactive ecosystems, generative computer-generated models, experimenting with carbon-based life, DNA synthesis and genetic modifications. This year KIKK will focus on how those artists and researchers are melding art and science to explore those interconnections between micro and macro worlds. How they build worlds and ecosystems to explore the ties between the technosphere and the ecosphere questioning the relationship underlying the Anthropocene. The KIKK Festival is an international festival of digital and creative cultures. Its interest lies in the artistic and economic implications of new technologies. The event gathers people of all backgrounds from all around the world. They are designers, scientists, makers, entrepreneurs, artists, architects, developers or musicians. They come to KIKK to tell you their personal anecdotes, to share professional experiences and innovative ideas, to present an artwork, a project or a product. You return home full of inspiration with plenty of contacts and new passions.